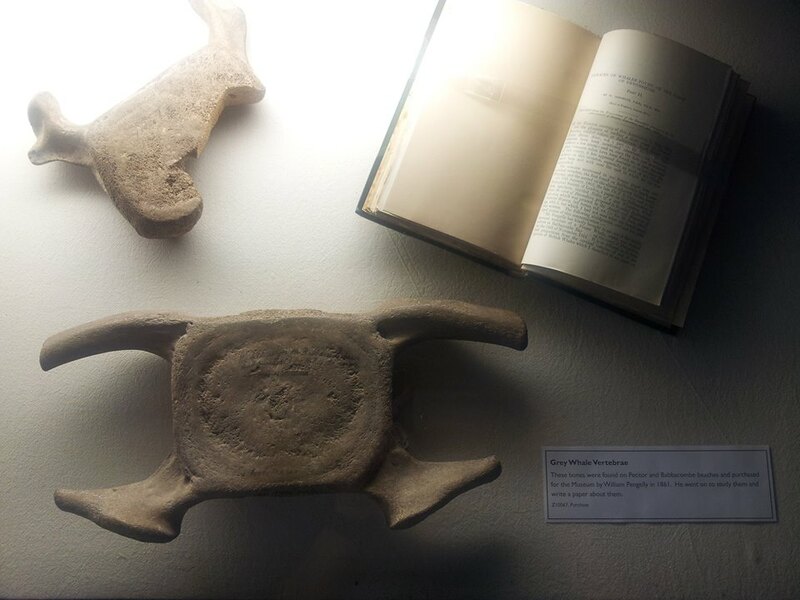 These Grey Whale vertebrae bones were found locally at Petitor and Babbacombe Beaches. William Pengelly purchased them for our Museum in 1861 and subsequently wrote a paper on them. Now they are recognised for being of international importance and have been radiocarbon dated to around 1600 AD, making them approximately 400 years old. You can see these specimens, and other related objects and activities, as part of our FAMILY FESTIVAL OF ARCHAEOLOGY which explores the life and work of William Pengelly on Saturday 22 July 2017.